Blocked drains have the worst timing. As if that is not enough, the danger and risk that they pose to one’s health does not really give you much room to prepare or wait them out. Home solutions can only do so much. When you’re in need of the real professionals, Genesis Drainage should be at the top of your list. We have been dealing with blocked drains Droitwich Spa for the last 4 years and no one understands drainage unblocking better than us. With us, no drainage block is impossible. Our services are available all-round the year and our high quality but affordable service has every solution you need. Thanks to the experience and the expertise that we have collected over the years, our services are not limited to only homes. If you have a blocked drain in your business premises, you can rely on our friendly and professional team to help you get things back to normal quickly and efficiently. We have perfected the methods and practices over the years to make sure that we are able to get you the best results in the shortest time so we get out of your hair sooner. At Genesis Drainage, we are willing to go to the limits to provide our clients with the best experience possible. These include investing in state of the technologies like the CCTV Drain Surveys that helps us to pinpoint the location of the blockage. Our clients can take comfort in the fact that we have been unblocking drains Droitwich Spa and in the surrounding areas for the last 40 years. 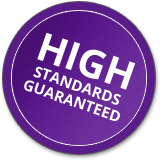 We are always willing to go the extra mile for our clients and our in-house team of experts will always maintain the same high standards that we have established over the years. We also offer other drain related services that our clients can get from our base. These include drainage jetting and drain surveys. Whether you’re looking for drainage unblocking Droitwich Spa services or other drainage related services, all you need to do is give us a call today! Experience – We have been in operation for over 40 years. Over the time, we have been able to service different clients with different needs. We have learned, grown and perfected our art which is a big plus. Friendly service – Not only will you get professional service from our members, they are also friendly and courteous. We understand the distress that a blocked drain can cause and we will always do our best to ensure that you’re comfortable while we work. Affordable and professional – Our services come at very reasonable rates. Our pricing is very transparent and we will only charge you for the service that we offer. We don’t advice the client to perform any unnecessary service unless it is vital and we don’t have any extra or hidden charges. Emergency services – Blocked drains have awful timing. That is why we have a 24/7 callout service. All you have to do is give us a call at any time of the day or night and we will be at your door to fix the problem. Call us today for the best rates and services in drain unblocking Droitwich Spa. Our services are efficient and guaranteed.